After almost 50 years of success on the racetrack, with 16 titles won alongside Ducati, Termignoni now renews its commitment to the supersport bikes of Borgo Panigale. 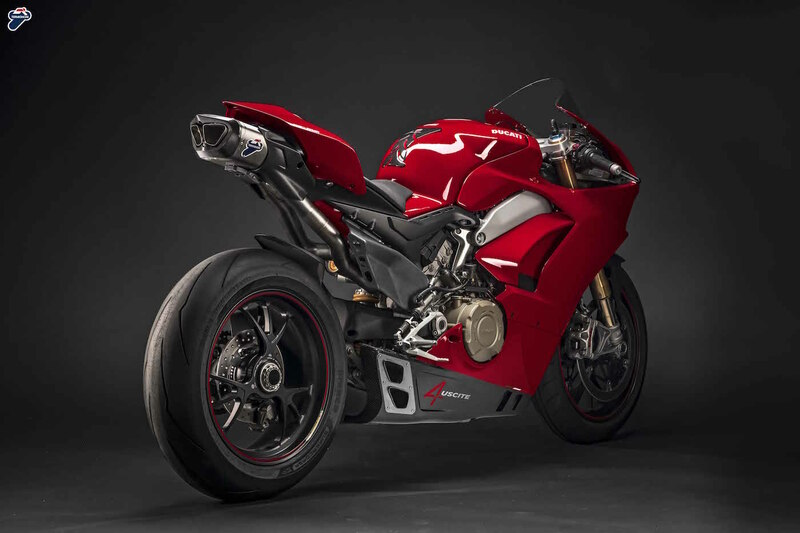 This year, strengthened thanks to significant experience in Superbike and under the guidance of engineer Ernesto Marinelli, the Termignoni team has driven development of its highly- anticipated system for the new supersport par excellence, the DUCATI Panigale V4. This new lay-out makes for a first-rate result in terms of performance and, also thanks to the many carbon parts, marries perfectly, design-wise, with the Panigale V4. The chassis parts have been conceived so that design is integrated with riding comfort. 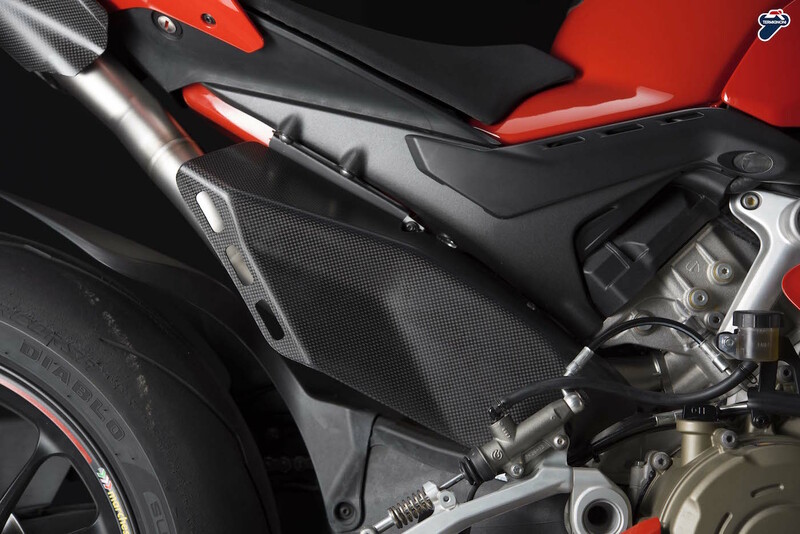 The use of carbon fibre extends across all these components, starting with the two lateral half fairings, the two appendages - right and left – of the under-tail tip, the lateral right-hand heat shield, the under-tank protection and the mudguard/chain cover. 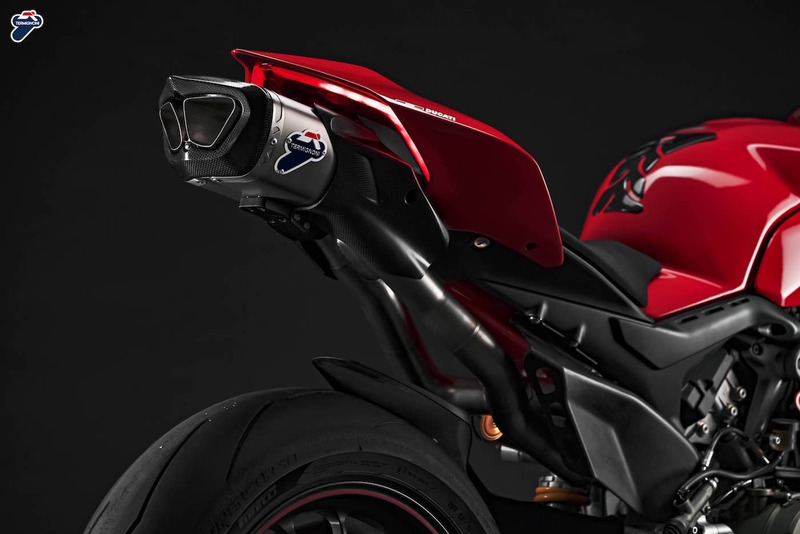 The exhaust system is split into two parts, the precision-cast head connections designed to offer the best fluid-dynamic performance and blend with the soft and harmonious curves of the pipe layout. As well as the base version with stainless steel pipes and titanium tips, a full titanium version will also be available. 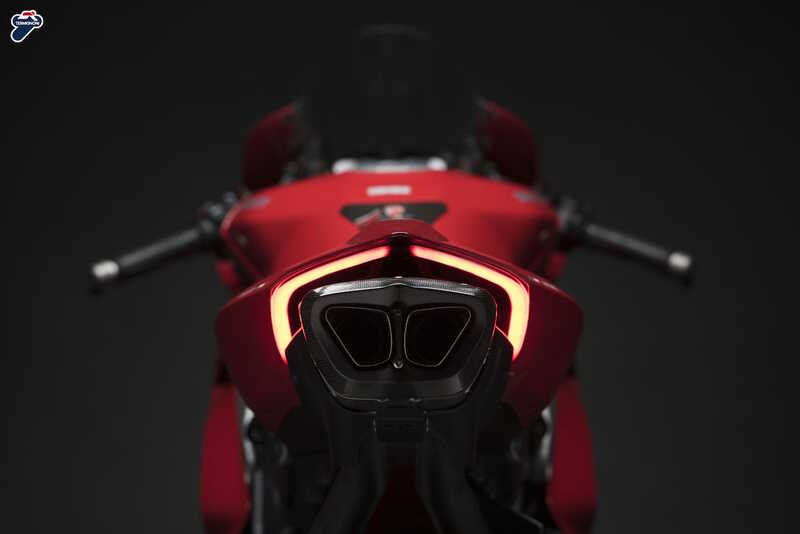 The right and left half fairings, strictly carbon, are equipped with extraction and intake vents and blend with the bike’s unique lines. The right-hand part integrates the two lower exits which stand out as a result of the muscular titanium flange that assimilates them. 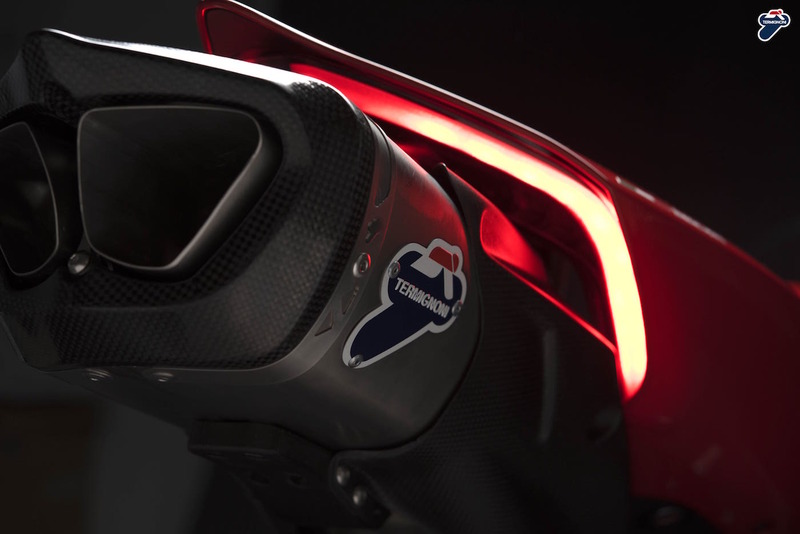 The left-hand part mirrors the lines of the fairing and includes the opening for the standard lateral stand. 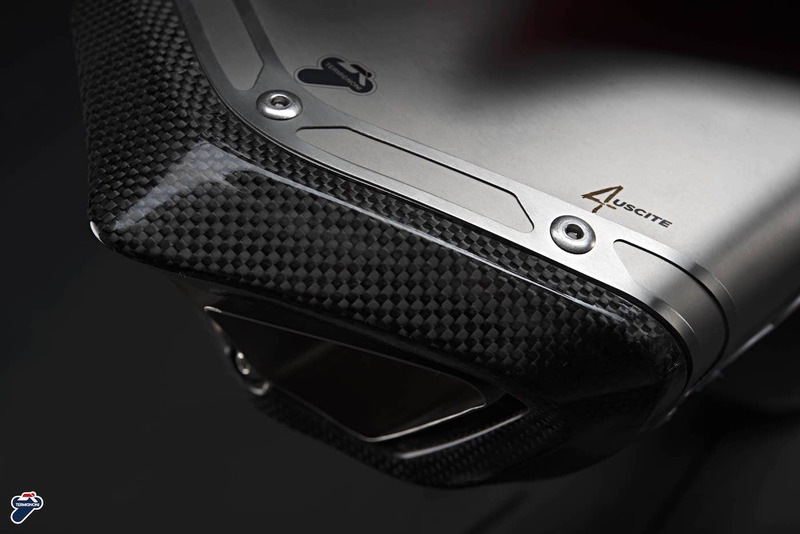 All the heat shields have been created in carbon fibre integrated with a heat reflective material for greater protection at high temperatures. 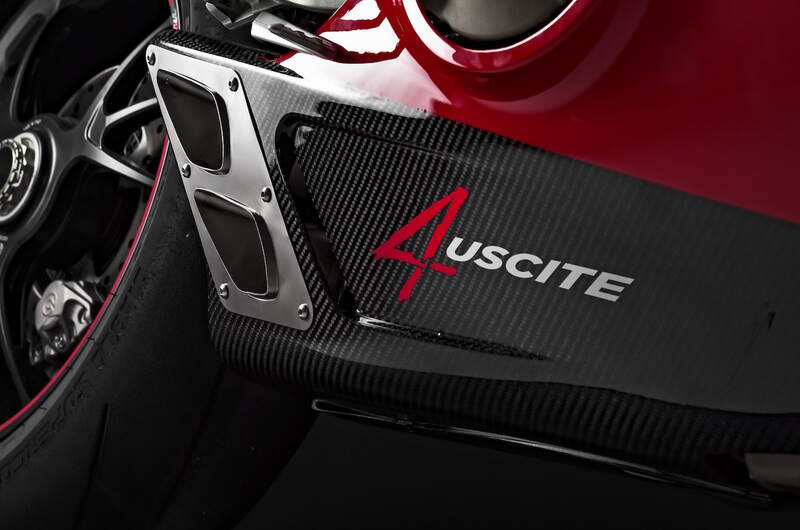 The under-tail silencer is attached to the rear frame with a billetErgal support and is characterised by its titanium sleeve and carbon end cap, created so as to blend perfectly with the design of the V4 tail. To further improve performance, the package also includes aSprint Filter Racing Air Filter, a long-time leading accessory in the sector. Lastly, the kit will also include the exclusive UpMap T800 device, containing the available mappings with which to best calibrate the Panigale V4 control unit in combination with the D182 system. As well as the RACING KIT, a ROAD KIT integration will also be available, including a carbon fibre support for the licence plate, light and indicators (the support supplied makes use of the standard wiring, indicators, light and licence plate).